The Slope stand has a sticky micro-suction pad to keep your iPad in place. 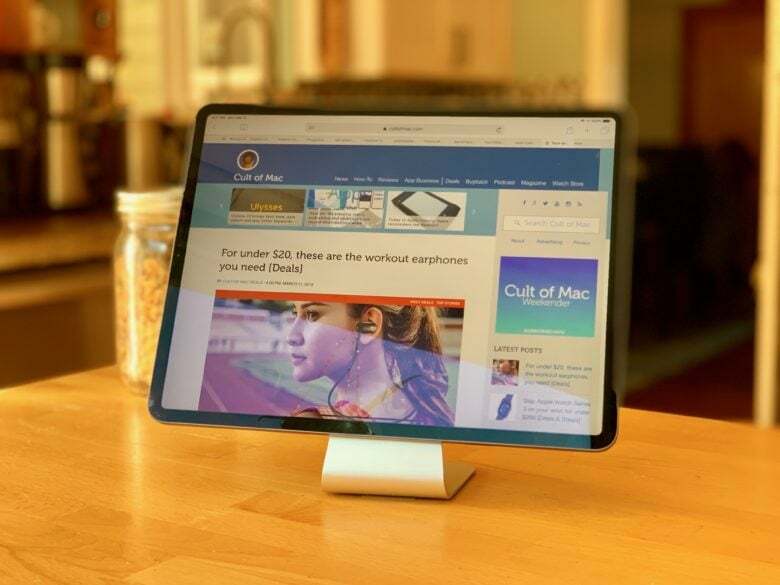 Made by Wiplabs, the Slope is a simple aluminum stand that looks like the foot of an iMac. It has the same anodized finish as an iMac or MacBook, and a sticky micro-suction pad that holds your iPad firmly in place. The suction is strong and easily holds your device steady. The iPad can be mounted vertically or horizontally. 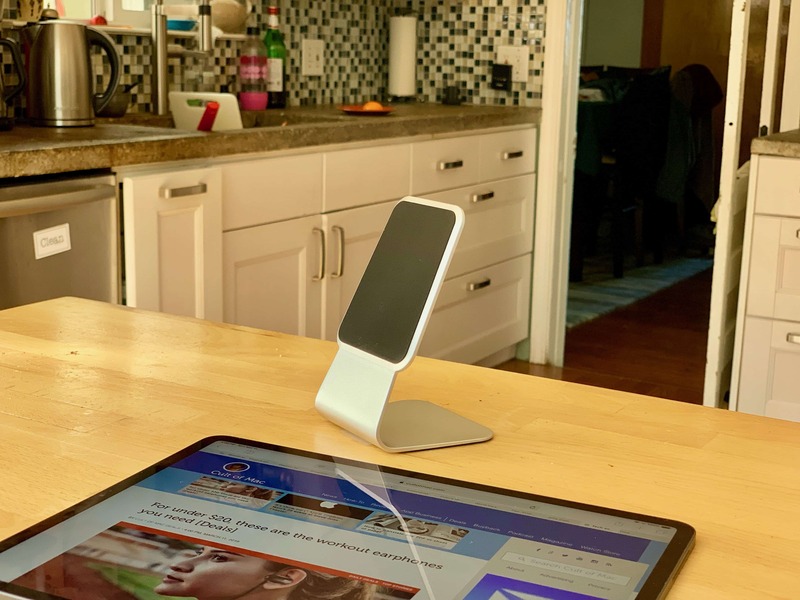 There’s also a micro-suction pad under the stand to hold it firmly to the table or countertop. If the micro-suction pads lose grip, they’re easily cleaned with water. Slope, which works with iPads 10.5 inches and larger. Slope Mini, which is compatible with iPhone and iPads up to 8 inches. As well as cooking, the Slope turns my iPad into a mini-iMac, which is great for working on the kitchen table. It holds the iPad at a good angle to work, especially when paired with a Bluetooth keyboard that sits underneath. It’s a simple, elegant design that works well. Price: The Slope is $49.99, and the Slope Mini is $39.99.